Upon waking the other morning, an orange glow filtered through my bedroom blinds. I decided to investigate and was amazed at the sky outside. 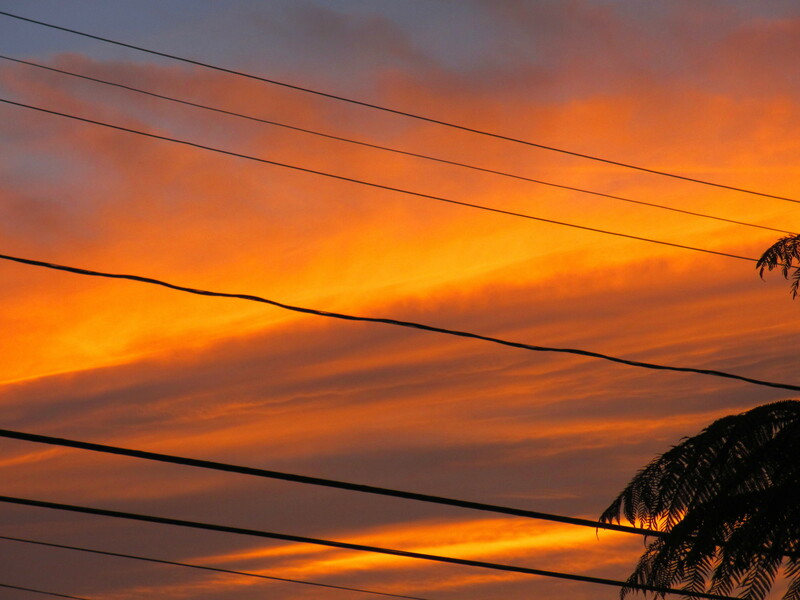 The diagonals created by power lines and the palm tree in silhouette, along with the horizonal color of the sunrise displayed a visual narrative defined by the co-mingling of man-made innovation and nature. Every Spring, I sow a variety of sunflower seeds and zinnias. 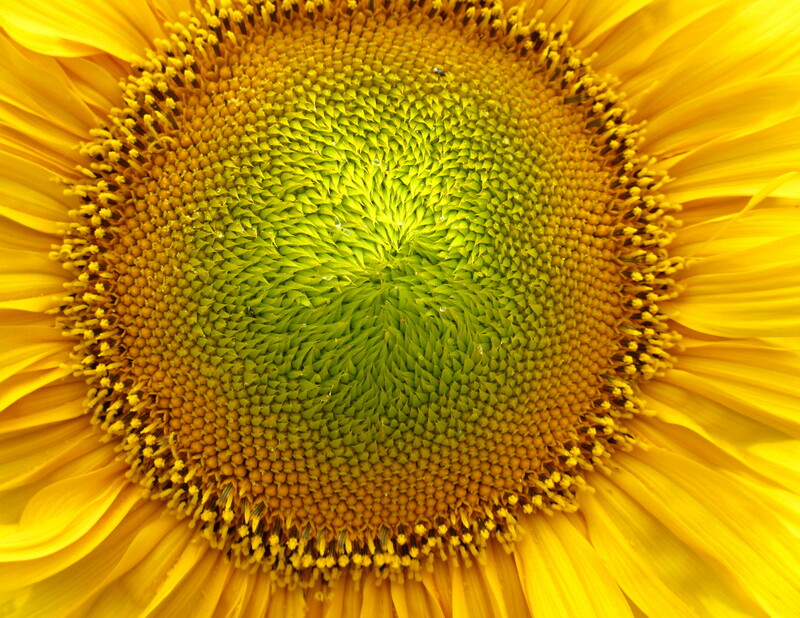 The sunflower represents so many things to me, they remind me of my father and Vincent Van Gogh. I covet a book given to me by my daughter from the Van Gogh Museum in Amsterdam. Along with their smiling faces, I grow sunflowers for the future health of our bee population. The crop this year is exceptional! My garden is a sanctuary for bees, butterflies and birds. 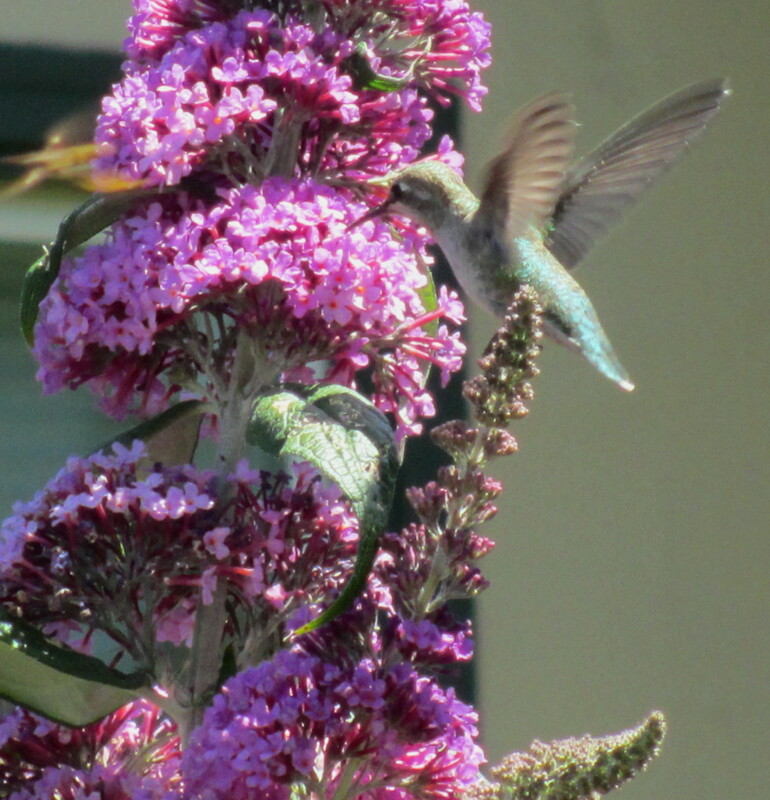 Tucked away in a corner of my yard, I captured a hummingbird enjoying nectar. 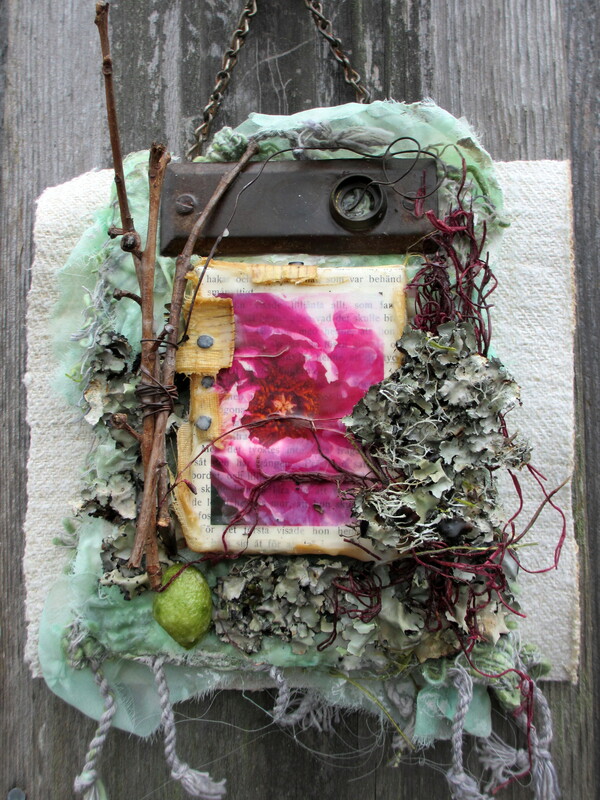 Yesterday, Sunday, June 23, 2013, I had an opportunity to attend a class, Nature Expressed taught by mixed-media artist, JoAnnA Pierotti. We all gathered at Chateau Grenzer, hosted by Shabby Calavera, Lexi Grenzer http://lexigrenzer.blogspot.com/. Wood framed canvas, venetian plaster, clear gesso and encaustic wax mixed with fiber, vintage hardware and a recent photograph I captured of a peony applied to a 3″ x 4″ wood framed canvas surrounded by moss and persimmon branches held together with rusty wire and my imagination, creates a beautiful piece of art, which celebrates what I hold near and dear to my heart…nature.